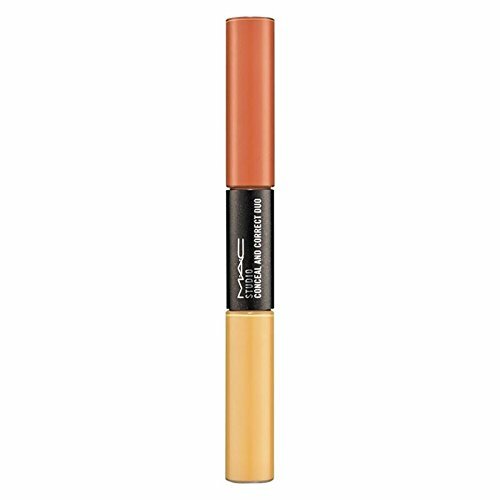 A lightweight, creamy, discreetly opaque concealer. Provides a smooth, long-wearing invisible coverage for all skin blemishes. Water-resistant, fragrance-free and non-acnegenic. This emollient-based, lightweight concealer is so concentrated that a tiny amount can provide opaque coverage to skin's imperfections and discolourations. It effectively covers dark circles, blemishes, moles, tattoos and birthmarks. MAC Studio Conceal and Correct Collection: Conceal, correct and perfect just like the pros. Studio Conceal and Correct Duos allow you to create your ideal skin tone by helping to correct your undertones. New Studio Finish Concealer Duo features our iconic Studio Concealers in complementary pairs, delivering exceptional colour and coverage in customizable tones. Achieve stunning definition with Studio Chromagraphic Pencils. These creamy, soft-point pencils work as eyeliner, or to sculpt and define the face and body. The water-resistant formula is long-wearing, providing a smooth application that will have your look photo-ready in no time.